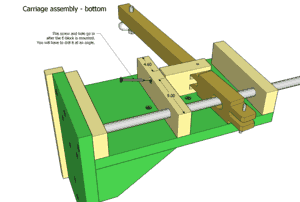 The quick-set tenon jig is designed to quickly and accurately cut both sides of a tenon without having to flip the stock or change the jig's settings. A simple flip of the lever alternates between the two cut positions. 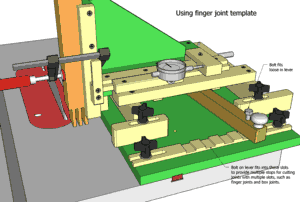 Templates can also be mounted on the jig for repeatably cutting many slots, such as for finger joints, without re-clamping the stock. 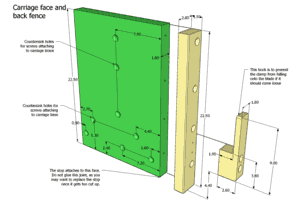 More detailed photographs of the jig and notes, beyond what is in the web article. 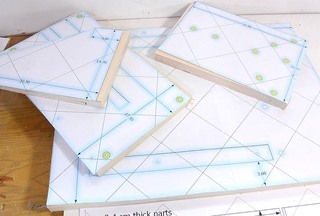 Full-scale 1:1 drawings of all parts, so you can just paste them onto the wood instead of making measurements. 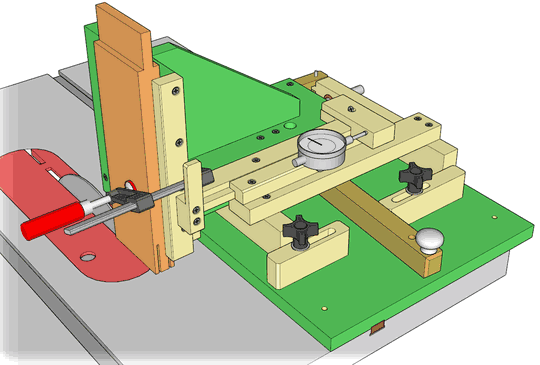 A SketchUp model of the jig, which allows you to view them from any angle, disassemble it, or regenerate each of the views in the plans by clicking on the 'scene' tabs in SketchUp. 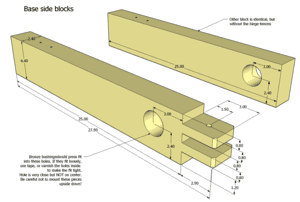 SketchUp is a free, easy to use CAD program, downloadable from Google. 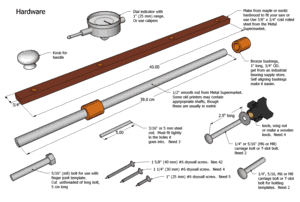 The plans are in metric units, except for drill and dowel sizes, which are in imperial units. 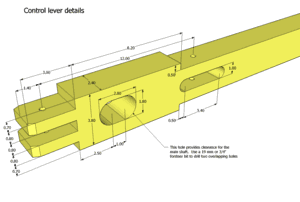 You can generate plans in imperial units simply by changing the units to "imperial" in SketchUp under "model info", but the units will not work out to even numbers like they do in metric. The plans are a 10 megabyte zip file (your computer, Mac or PC, already knows how to open zip files) A download link will also be emailed to you automatically. Some email programs may treat this email as spam, so please check your spam folder if you did not receive the email.